I have become a big fan of Kids Can Press Citizen Kid series. These books usually contain an interesting, informative and often inspiring story that promotes wise/kind world citizenship. The Red Bicycle fits well within these parameters. 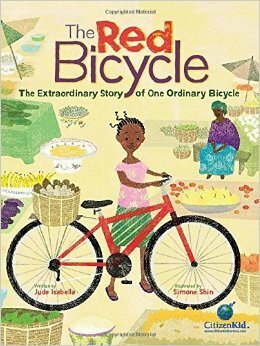 The story follows the journey of a red bicycle as it makes it way from a city in America where it has been well-loved and used by a boy to Africa into the hands of a young girl who uses the bike to aide her families' survival. Alisetta uses the bike to travel to the fields which helps her scare off the birds which raid her families' sorghum fields which allows her to harvest more than normal. With a larger harvest the family eats better and has a means of transportation to village markets. Eventually the bike becomes an ambulance allowing medical workers to transport the injured to the nearest clinic or hospital. I loved this story because it shows the value is one small act of kindness: the boy's giving up his bike when he's outgrown it. The illustrations are beautiful and strikingly highlight the value of the bike in the lives of those who use it. I also appreciated the information and photographs at the end of the book which shows the value of bicycles in Burkina Faso, the African country where the story takes place. Suggestions for places to donate to or volunteer with are also included. I found the book inspiring and I am now looking for a place to donate my old used bicycle. Jacques Papier has the sneaking suspicion that everyone except his sister Fleur hates him. Teachers ignore him when his hand is raised in class, he is never chosen for sports teams, and his parents often need to be reminded to set a place for him at the dinner table. But he is shocked when he finally learns the truth: He is Fleur's imaginary friend! When he convinces Fleur to set him free, he begins a surprising, touching, and always funny quest to find himself—to figure out who Jacques Papier truly is, and where he belongs. Readers will fall in love with Jacques's sweet, quirky voice as he gives them a look at life from an incredible new perspective. I wasn't quite sure what to make of this book when I first started reading it. It's really quirky with the narrator being an imaginary friend. This story revolves around Jacques' discovery that he is imaginary (previously he thought he was Fleur's twin brother that everyone simply chose overlook or ignore). In his struggle to accept who he is he even creates his own imaginary friend (the imaginary friend of an imaginary friend). As Jacques comes to terms with being imaginary, Fleur starts to think that she's imaginary as well which leads to an unusual series of events. 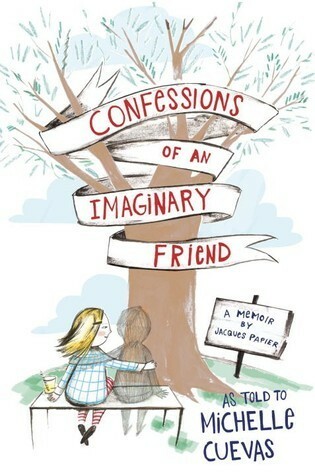 After attending an anonymous support group meeting for imaginary friends, Jacques is told what to do to become 'free'. But things don't go according to plan and Jacques ends up experiencing things that lead him to develop a greater sense of self and a great sense of purpose. While it took me a while to get into the book, I did eventually start to care about Jacques and what was happening to him and the changes he faced. The book is definitely unique, I can't say I've read another one quite like it which made it hard to predict where the story was going to go. I didn't manage to predict the ending of the story but really liked it nonetheless. If anything this story reminds me a bit of Kate DiCamillo's The Miraculous Journey of Edward Tulane in that it's a journey of discovery and learning to look beyond oneself to love others. The short chapters and humorous experiences that Jacques faces along the way do help make the book a quick read with a surprising amount of character development. When Dottie Dolphin dives deep into the ocean to play hide-and-seek with her siblings, she discovers a wonderful world of ocean animals. Join Dottie and her new friends beneath the waves in this interactive story with flaps to lift and colorful, detailed underwater scenes by best-selling nature illustrator Maurice Pledger. 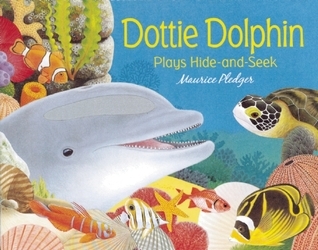 Dottie Dolphin is a beautiful book with fun flaps to uncover throughout the book. The story follows Dottie Dolphin as she searches for her siblings throughout the ocean. The illustrations are gorgeous with all sorts of bright colorful sea creatures lighting up the pages. The writing is also really good which is impressive for a board book. This is a board book that any young reader can appreciate, not only for it's beauty but for the information it presents about life under the sea and the creatures that live there. Highly recommended. Ping-Ping Panda is searching for some tasty leaves with the help of her hummingbird friend, but as they roam through the forest, all they find are other animals' favorite foods. Will Ping-Ping find something to satisfy her rumbling tummy? 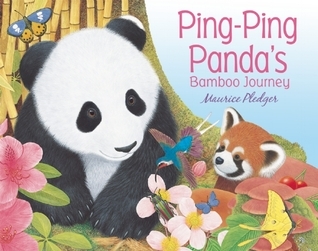 Help Ping-Ping and her friends explore the forest in this interactive story with flaps to lift and colorful, detailed scenes by best-selling nature illustrator Maurice Pledger. Another beautiful board book by Maurice Pledger. My eyes simply devoured this book from beginning to end. This book is really a work of art with fantastic writing and absolutely stunning illustrations. Children will certainly get an eyeful here as they listen to or read the book and lift the flaps. This is definitely one for my favorites shelf. Michel is like many other five-year-olds: he has a loving family and spends his days going to school and playing soccer. But in 1993, the Democratic Republic of Congo, where Michel and his family live, is a country in tumult. 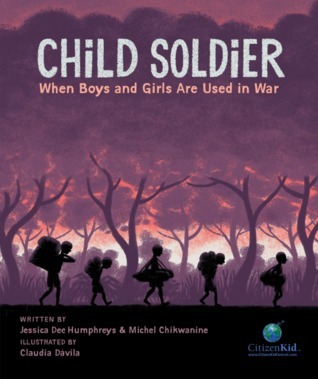 One afternoon Michel and his friends are kidnapped by rebel militants and forced to become child soldiers. Michel's story packs quite a punch. With the assistance of another writer and a talented illustrator, Michel shares his heart-wrenching story with young readers. He tells of being kidnapped at the age of five and being forced to help a rebel militia fight against both the national government and local villagers. He speaks of being forced to shoot a friend and being brainwashed into thinking that his family would never take him back. Thankfully, he never questions his families love for him and he finds the courage to flee when the opportunity comes. But he still has to live with the horrific memories and confusing emotions that he carries home with him and as his father's humanitarian work further endangers the family, he once again finds himself on the run. Eventually, Michel made it to the United States but not with his family intact. What is so admirable is that in learning to cope with the pain he's faced in his life, Michel has learned to speak out and in doing so help others. The story is told beautifully in the illustrations and text giving the reader a glimpse into a topic that should not be ignored. However, while not overly graphic, there is violence and some horrible acts briefly mentioned and because of this the book may not be appropriate for all young readers. I highly recommend this book for more mature middle grade readers on up. A book I will never forget. 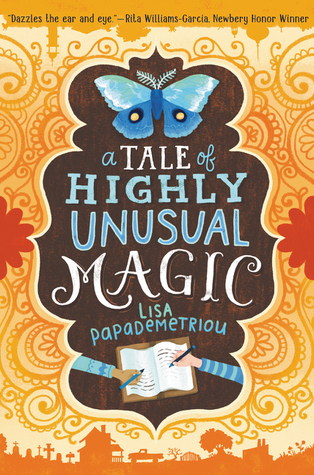 For the publication of Lisa Papademetriou’s upcoming novel A TALE OF HIGHLY UNUSUAL MAGIC I have been invited to participate in a conversation about the book that’s meant the most to me, posting a question between October 6th and November 6th and offering a prize for one participant. To be entered for a chance to win a copy of the book just answer the following question in the comments section or on Twitter using the hashtag #MyBookFate and @GeoLibrarian so I can read your comments. What is your book fate—what book has changed your perspective, your heart, your life? I've loved reading for as long as I can remember, even before I could read myself, I enjoyed being read to, so answering this question seemed difficult at first. After all I've read hundreds, even thousands of books over the years and many of them have left their mark. 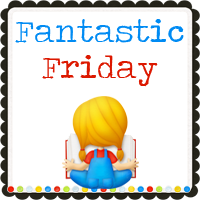 Books of all kinds, fiction, nonfiction, picture books, middle grade, adult, religious, etc. But I figured that since this blog focuses on children's books I would pick a couple of children's books that I still remember fondly to this day and count among my favorites of all time. 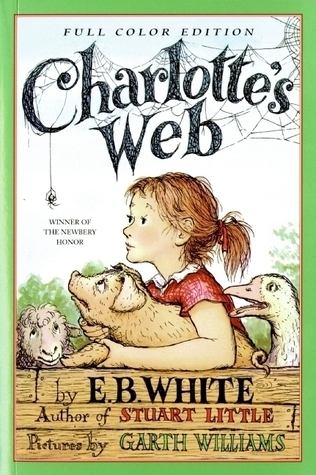 Charlotte's Web left a lasting impression on me from the first moment I heard it as a read aloud and then when I checked it out and read it myself. I fell in love with Wilbur and Fern and Charlotte. Their friendship was a great example to me of what friendship really is and the sacrifices it sometimes entails. Whenever I need a pick me up or to remember what a true friend is, I think of this book. A true classic in every sense of the word it still rings as true now as it did when it was first published. E.B. White managed to truly capture both the characters and the setting while intricately weaving an universal plot of friendship. The other book I wanted to briefly mention is also by E.B. White but is not as well known. 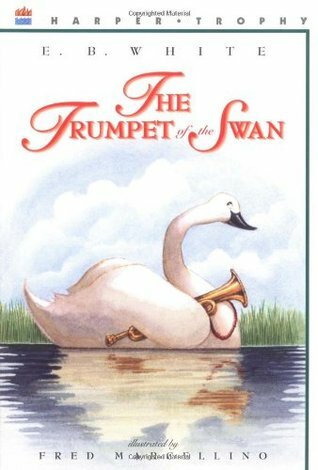 The Trumpet of the Swan I also really loved as a child, and still do as an adult, but not for the same reasons. As a child, I loved the idea of a bird being able to play an instrument. Now as an adult I see the story differently. I see a character with a disability finding a way to live life fully within the limitations he's been given thanks to the sacrifice of his father. I'm eager to read what you have to say, so be sure to respond in the comments or on Twitter to be entered in the contest. Mother Daughter Book Reviews is pleased to be coordinating a Blog Tour for the new titles recently released by Lonely Planet Kids (an imprint from Lonely Planet, the world’s leading travel publisher), from October 15 to 31, 2015. Lonely Planet Kids aims to enhance learning, interaction and appreciation for the planet’s rich diversity of people, places and cultures. Immersive, engaging and educational, the new Lonely Planet Kids books continue to explore the world and inspire a whole new generation of travelers as only Lonely Planet can. Title: Lonely Planet Kids - The Travel Book: A journey through every country in the world | Publication Date: September, 2015 | Publisher: Lonely Planet Kids | Pages: 212 | Recommended Ages: 8+ Description: Where can you climb a giant tower of sticky buns? What is a bokikokiko? Discover the answer to these questions and hundreds more with Lonely Planet Kids The Travel Book: A Journey through Every Country in the World the new, kid-friendly (ages 8+) version of Lonely Planet’s best-selling The Travel Book. In Lonely Planet Kids The Travel Book, every country from Afghanistan to Zimbabwe gets a dedicated page spread packed with amazing facts on animals, culture, sports, food and much more, bringing the world to life with eye-popping photography and illustrations. For those young readers who love learning about the world this book is ideal. Not only does it provide information about each country of the world, it does it through attractive information boxes and gorgeous photos. Perfect for browsing or reading straight through, I can guarantee that any reader who spends time with this book will come away with a greater appreciation for the wonderful world in which we live. A great resource for personal collections as well as library collections. Highly recommended. From the world’s leading travel media company comes Lonely Planet Kids, a children’s imprint that brings the world to life for young explorers everywhere. We’re kickstarting the travel bug and showingkids just how amazing our planet can be. We will inspire and delight curious kids, showing them the rich diversity of people, places and cultures that surrounds us. We promise to share our enthusiasm and love of the world, our sense of humour and continual fascination for what it is that makes the world we live in the diverse and magnificent place it is. It’s going to be a big adventure! Come explore. Prize: One winner will receive a $25 Amazon gift card or $25 PayPal cash prize, winner's choice Giveaway ends: November 8, 11:59 pm, 2015 Open to: Internationally How to enter: Please enter using the Rafflecopter widget below. Terms and Conditions: NO PURCHASE NECESSARY TO ENTER OR WIN. VOID WHERE PROHIBITED BY LAW. A winner will be randomly drawn through the Rafflecopter widget and will be contacted by email within 48 hours after the giveaway ends. The winner will then have 72 hours to respond. If the winner does not respond within 72 hours, a new draw will take place for a new winner. Odds of winning will vary depending on the number of eligible entries received. This contest is in no way sponsored, endorsed or administered by, or associated with Facebook. This giveaway is sponsored by Lonely Planet Kids and is hosted and managed by Renee from Mother Daughter Book Reviews. If you have any additional questions – feel free to send and email to Renee(at)MotherDaughterBookReviews(dot)com. Caretakers of magical preserves need to visually identify dozens of mythical and magical creatures. This book will open your eyes to a secret world most humans know nothing about. Study these pages and learn about the many magical artifacts, potions, and weapons that could potentially save your life. Furthermore, a smart caretaker will need to know how to recognize (and stay away from) the more nefarious creatures found in this book. Most importantly, The Caretaker's Guide to Fablehaven will give you the inside scoop about other magical preserves around the world, including the most magical and powerful creatures known to ever exist—dragons! Scattered throughout the book are tidbits of wisdom and counsel from previous caretakers. For example, "Smart people learn from their mistakes. But the real smart ones learn from the mistakes of others." Immerse yourself in the secret knowledge that has been handed down through the generations by reading the handwritten updates and notes scribed in the margins by the former (and current) caretakers of Fablehaven, including Patton Burgess, Grandpa Sorenson, Kendra, and Seth. Fully-illustrated, this unique encyclopedia has gathered the world of Fablehaven into one volume. BRANDON DORMAN is the illustrator of the #1 New York Times bestseller The Wizard. He graduated from Brigham Young University-Idaho, where he studied fine art and illustration. He and his wife, Emily, have three children and live in Washington, where he enjoys working as a freelance illustrator. His work has appeared in children's books and on numerous covers, including Pingo, The Candy Shop War, and the Fablehaven series. BRANDON MULL is the #1 New York Times bestselling author of the Fablehaven, Beyonders, and Five Kingdoms series. He misses writing adventures for his Fablehaven characters so much that he will begin a sequel series to Fablehaven called Dragonwatch in 2016. He lives in Utah with his wife, four kids, and a dog named Buffy the Vampire Slayer. This is a book that any Fablehaven fan is going to want to have. The description of artifacts, animals, and places aides the reader in understanding the books better and is to be honest, just fun to read and look at. The introduction to the upcoming Dragonwatch series is also exciting for those fans like myself who are looking forward to returning to that world. Not to mention that the design of the book is just beautiful and appealing with the book being reminiscent of an old manuscript. In fact reading this makes me want to go back to read the Fablehaven series again. Brandon Dorman's illustrations add a great deal to the book making this a great gift for fantasy fans as well as Fablehaven fans. The Secret Lives of Animals is the perfect mix of field guide know-how and armchair entertainment. In addition to the standard field guide notes and range maps, the meat of the book will offer up spark moments in nature something fascinating or memorable that catches your attention and sets you on a path of lifelong learning. 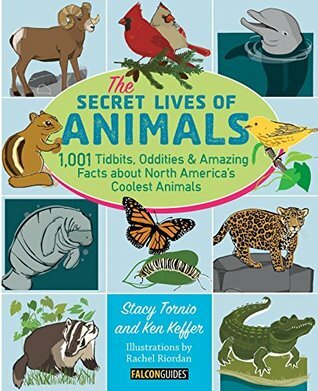 The Secret Lives of Animals will feature more than 100 North American animals and over 1,000 tidbits in a fun, colorful, illustrated format." As far as animal encyclopedia's go this one has a tremendous amount of information available for readers. I learned a great deal about all sorts of different animals from North America. Each animal or group of animals is briefly described followed by a list of interesting facts then information about the size, range, food, and predators of that animal. In addition there are special sections highlighting unique species from around the world as well as ideas for exploring the outdoors. A fun book for young animal lovers, the only thing I would have liked to have more of would be more illustrations and/or photographs. Each animal has one illustration connected to it, but it would have been nice to have more. But the space is full of facts that are bound to fascinate young readers who long to know more. 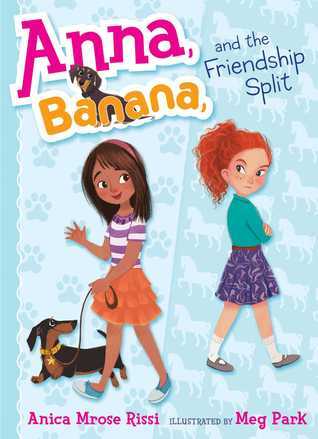 A charming new illustrated chapter-book series about a girl named Anna who navigates the joys and challenges of third-grade best-friendship, with her beloved wiener dog, Banana, by her side. Friendship is such a big thing, especially in the lives of children as they are still learning about what friendship is and how it does and doesn't work. 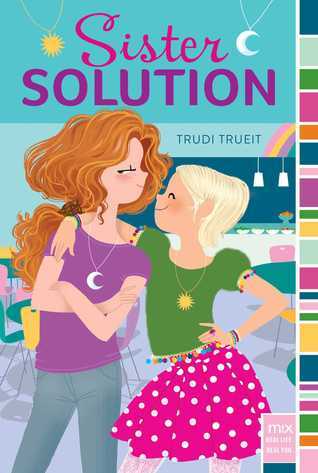 I found this book to be a believable story about Anna and her friend, Sadie, having a fight. Unfortunately for Anna, the fight occurs on her birthday and results in Sadie walking off with her birthday necklace. At first Anna is willing to do anything to get Sadie back as her best friend, including giving up the necklace. But after a few days of the cold shoulder and her brother telling her to stand up for herself, Anna fights back. But it just may be that her efforts might ruin things for good. 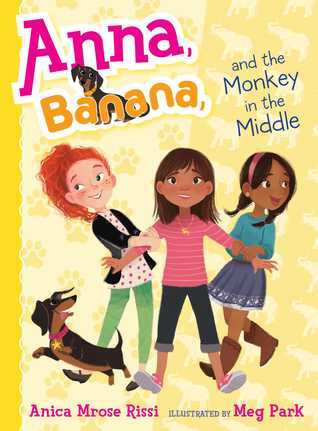 Not only is the story one that young readers (6-9 years-old) can easily relate to, but there is an adorable dog in the mix (Banana). A fun new series that is bound to win over lots of young fans, especially readers of Ivy and Bean, Judy Moody, or Junie B. Jones. 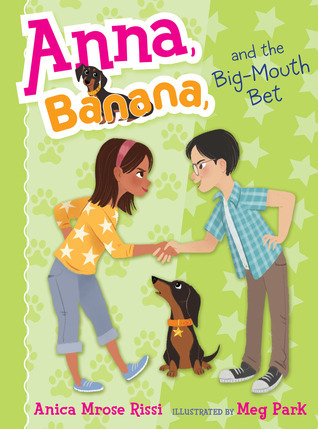 The second book in the Anna, Banana illustrated chapter-book series, in which a girl named Anna navigates the joys and challenges of third-grade best friendship, with her wiener dog, Banana, by her side. Anna is lucky to have two best friends--it makes everything twice as fun. She’s excited to go with both Sadie and Isabel on their class trip to the zoo. But when Anna’s two best friends start choosing opposite sides on everything, Anna feels caught in the middle. Sadie wants Anna to see the spiny anteater with her, but Isabel wants to visit the tortoise instead. When Isabel pulls Anna toward the camel house, Sadie yanks her toward the giraffes. It’s like they’re playing a game of tug-of-war and Anna is the rope! How can Anna keep the peace without causing double trouble? With a little help from her beloved dog, Banana, as well as some unexpected advice from her family, Anna tries to figure out what it means to be a best friend to two very different people...while still being true to herself. Anna finds herself in a predicament when her two best friends want her full attention all the time. On a field trip to the zoo Anna must find a way to satisfy both her friends without setting off a storm. But it's not easy being the 'monkey in the middle'. Once again, Rissi has written a thoroughly engaging story for early chapter book readers whose concerns with friendship and school take priority in their lives. Banana, the dog, also makes for a fun companion for Anna in her struggles to do the right thing. Anna has a loose tooth! It’s as wiggly as her dog Banana’s tail. But while Anna is poking at her loose tooth, class clown Justin keeps poking fun at Anna and her friends. Anna tries to make Justin leave them alone, and gets pulled into a high-stakes bet. If Anna wins, Justin has to play nice; but if Anna loses, she has to do something so jaw-droppingly embarrassing, even Banana can’t believe it. There’s no wiggling her way out of this one. Anna has to win the bet and stop Justin’s annoying antics…before she gets in even more toothy trouble. Anna is tired of Justin, the boy who sits behind her in class, bothering her and her friends, Sadie and Isabel. So when she overhears what she believes is Justin making fun of her and her loose tooth, she gets herself into hot water by making a bet over who is going to lose a tooth first. Anna with her friends' help does her best to get her tooth to come out, but what if Justin wins, what will she do then. Anna is a fun character and her interactions with her friends and teacher are refreshing. The concern over embarrassing herself in front of her teacher, protecting her friends, and confronting her own beliefs about the Tooth Fairy all ring true. A fun new series for young readers who enjoy Judy Moody, Junie B. Jones, or Clementine. 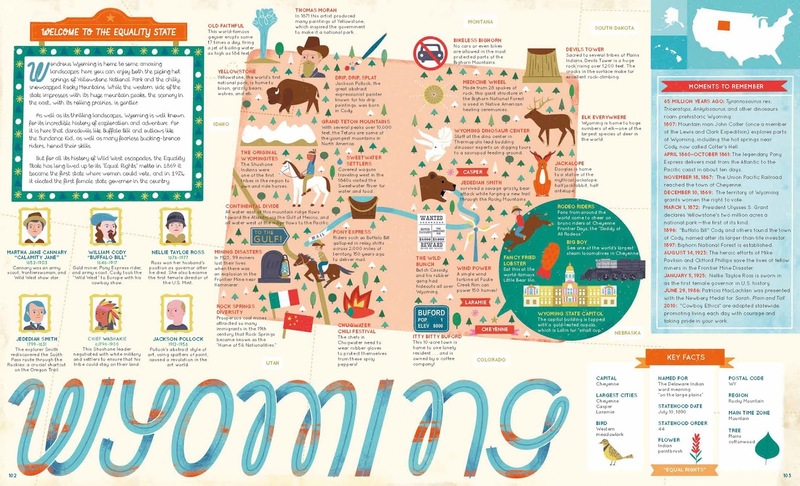 WELCOME TO THE EQUALITY STATE Wondrous Wyoming is home to some amazing landscapes: here you can enjoy both the piping hot springs of Yellowstone National Park and the chilly, snowcapped Rocky Mountains. While the western side of the state impresses with its huge mountain peaks, the scenery in the east, with its rolling prairies, is gentler. As well as its thrilling landscapes, Wyoming is well known for its incredible history of exploration and adventure. For it is here that daredevils like Buffalo Bill and outlaws like the Sundance Kid, as well as many fearless bucking-bronco riders, honed their skills. But for all its history of Wild West escapades, the Equality State has long lived up to its “Equal Rights” motto: in 1869 it became the first state where women could vote, and in 1924 it elected the first female state governor in the country. CHIEF WASHAKIE c.1798–1900 This Shoshone leader negotiated with white military and settlers to ensure that his tribe could stay on their land. JACKSON POLLOCK 1912–1956 Pollock’s abstract style of art, using spatters of paint, caused a revolution in the art world. JEDEDIAH SMITH 1799–1831 The explorer Smith rediscovered the South Pass route through the Rockies: a crucial shortcut on the Oregon Trail. MARTHA JANE CANNARY “CALAMITY JANE” 1852–1903 Cannary was an army scout, frontierswoman, and Wild West show star. NELLIE TAYLOE ROSS 1876–1977 Ross won her husband’s position as governor after he died. She also became the first female director of the U.S. Mint. WILLIAM CODY “BUFFALO BILL” 1846–1917 Gold miner, Pony Express rider, and army scout, Cody took the “Wild West” to Europe with his cowboy show. In the nineteenth century, North Carolina slave George Moses Horton taught himself to read and earned money to purchase his time though not his freedom. Horton became the first African American to be published in the South, protesting slavery in the form of verse. Don Tate has created a beautiful book here about a fascinating person. These kinds of stories are the kind of stories that I love to share with people because they are about people who didn't let their limiting circumstances limit them in following their dreams. 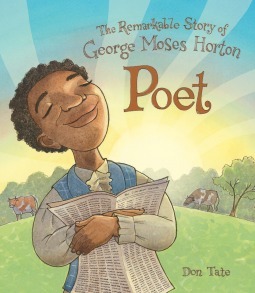 George Moses Horton longed to be able to read from the time he was a young child. Thanks to his persistence and his observation skills he eventually taught himself to read (no small accomplishment in and of itself). Even after being separated from his family and having to spend most of his time working for his master, he found time to spend reading. George loved the sound of words and even before he learned to write he was making up poems in his head. His poems were so beautiful that when George started to sell farm produce at the local university and he recited some for students giving him a hard time, they started coming to him for poems to use with their sweethearts. Rather remarkable for a supposedly illiterate slave. George started making enough money to buy time from his master to spend doing what he loved. But he still wasn't free. Many of his poems dealt with his desires for freedom, at least until things changed in North Carolina and teaching slaves to read became a crime. It wasn't until George turned 66 and the Civil War ended that George finally became free. This story is not only an important one but an inspiring one. A story about a man who found a way to develop his talents despite society's attempts to keep him down. Tate has told the story in beautiful prose with amazingly gorgeous illustrations that highlight George's spirit will not overlooking the horrible nature of slavery (the scene where George is separated from his family forever is heartbreaking). This is definitely one of my favorite picture books of the year. 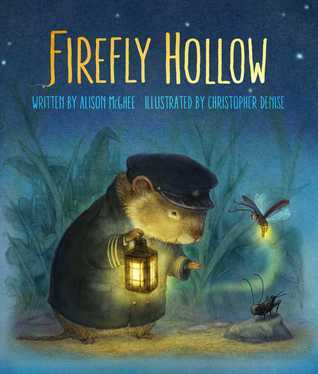 In lyrical prose, McGhee tells a sweet story about a young cricket and firefly who dream of something more than avoiding giants (people), and being typical bugs. Cricket wants to learn how to catch like Yogi Berra. Firefly wants to fly to the moon. And Vole, the sole remaining vole in the area is preparing to sail off down the river the way his ancestors once did. And young Peter (a miniature giant) desperately misses his friend Charlie and refuses to go back to school. These four come together to encourage each other. The illustrations by Christopher Denise are beautiful and provide the perfect touch for the smooth prose. I couldn't help but sympathize with Firefly and Cricket in their efforts to pursue their dreams while coming to grips with the way the world is, sadness and difficulties and all. I loved how all the different pieces came together like the four main characters creating a wonderful tapestry of friendship and dreaming. Like Charlotte's Web, this is a beautiful ode to power of friendship to help one to chase a dream and face reality at the same time. It is nighttime in the savanna, which means that it is time to play for one rambunctious lion cub! The cub tries to make new friends with the hippos and the giraffes, but roaring at them only chases them away. The young lion is about to give up, but when a rabbit accidentally mistakes the cub's tail for a carrot, the lion realizes she might have met her match, in all the right ways. A young lion cub sets out to find a playmate when her family prefers to sleep. First, she tries the hippos but they run away when she roars as do the giraffes. But when she inadvertently meets up with a rabbit who is as loud as she is they run off to play together. 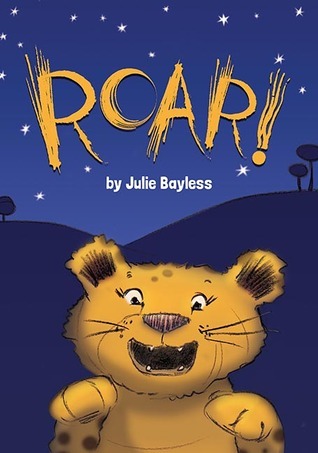 Bayless presents a cute story here that preschoolers are bound to have a really fun time with, especially if the reader lets them roar along with the lion cub. The bright yellow cub stands out against the dark blue background allowing the reader to clearly see the cub's antics. This is a fun story about finding just the right playmate and having a good time together. On August 29, 2005, Hurricane Katrina's monstrous winds and surging water overwhelmed the protective levees around low-lying New Orleans, Louisiana. Eighty percent of the city flooded, in some places under twenty feet of water. Property damages across the Gulf Coast topped $100 billion. One thousand eight hundred and thirty-three people lost their lives. 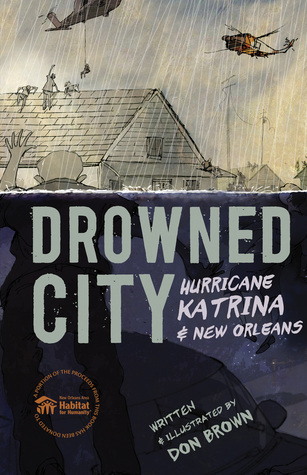 The riveting tale of this historic storm and the drowning of an American city is one of selflessness, heroism, and courage—and also of incompetence, racism, and criminality. Don Brown’s kinetic art and as-it-happens narrative capture both the tragedy and triumph of one of the worst natural disasters in American history. A portion of the proceeds from this book has been donated to Habitat for Humanity New Orleans. One of the things that amazes me about Don Brown's work is the way he manages to include so much information in relatively few words. The text in this graphic book is relatively sparse, a few sentences per page, yet combined with the illustrations they create a powerful picture of an important event in US history. I remember when it happened, I realized that many things had been badly mishandled, but I didn't realize to what extent. This is an important story that I'm glad Brown has chosen to tell. If we don't remember these things then such mistakes are bound to be repeated. This is a heart-wrenching story that Brown still manages to instill with hope. Despite all the mistakes that were made and the bad things that people did there were plenty of examples of sacrifice and people trying to help. This is an important book and one that I highly recommend that most libraries add to their collections. 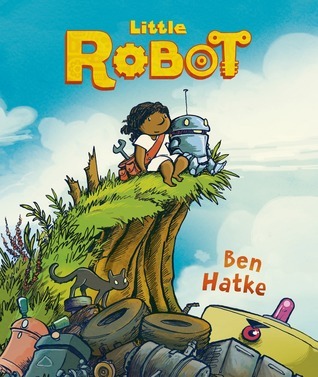 Hatke has created another winner here with his adorable little robot and the little girl that befriends him. The little girl likes to hang out in the junkyard close to her mobile home. With her special mechanical talents, she tries to help her friend, but when he tries to leave, she tries to find a way to get him to stay. Unfortunately, the little robot's owner wants him back and sends a big villain robot to get him back. The girl is forced to use all her skills to save both her friend and herself, although she does have a little unexpected help. The nearly wordless story is told beautifully through the bright colorful illustrations. The intricate story winds its way through the meeting of the two main characters and their personal desires, the girl for a friend, the robot for others like himself. The little girl gets so desperate to hang on to her friend that she locks him up while she tries to build some robots, but things don't exactly work out. I have to admire the variety of different robots that appear in the story (especially the robot hand that helps the girl). I highly recommend this graphic story for young readers and even older ones are bound to enjoy it. What's worse than your little sister being smarter than you? Her being more popular, too. But sibling rivalry might just become sibling camaraderie when cliques get out of control in this fresh and fun M!X novel. Sammi Tremayne's life isn't perfect, but she's got it on an even keel. She isn't ultra-popular, but she isn't at the bottom of the middle school social ladder, either. However, when it's decided that her brilliant little sister, Jorgianna, should skip not one, but two grades and join Sammi in eighth grade, Sammi's world is turned upside down. For someone who has always felt in the shadow of her little sister, this is Sammi's ultimate nightmare. To make matters even worse, Jorgianna is taken in by the most popular clique in school almost the minute she arrives, a clique that Sammi has been trying desperately to join. Everything, it seems, is going right for Jorgianna and wrong for Sammi. But there's more to each sister's story than the other realizes. And when the popular girls start to show their true colors to Jorgianna, can these siblings finally put aside their differences and show the queen bees who's boss?